Still feels mostly like carpet, just stiff but still comfy carpet The key goal was to not have to remove everything to replace my carpet which was in good condition overall to get a waterproof flooring. I also didn't want rhinoliner since it mimics the same properties as is and I wanted some color not just black cuz, well I can. I went with the Black Cherry Plasti-Dip but I started with an unthinned tan to build up the carpet since it will soak up the sprayable stuff and unfortunately the color I wanted only comes in sprayable. It took 1 gallon of unthinned tan with about 20% Xylenol added for a bit thinner product, and 1 gallon of the already thinned Black Cherry to get this far. I believe I need one more coat of the Black Cherry and all will be well for the front and passenger area. I still have the back to do which I imagine will be one gallon of unthinned, and 1 gallon of Black Cherry. 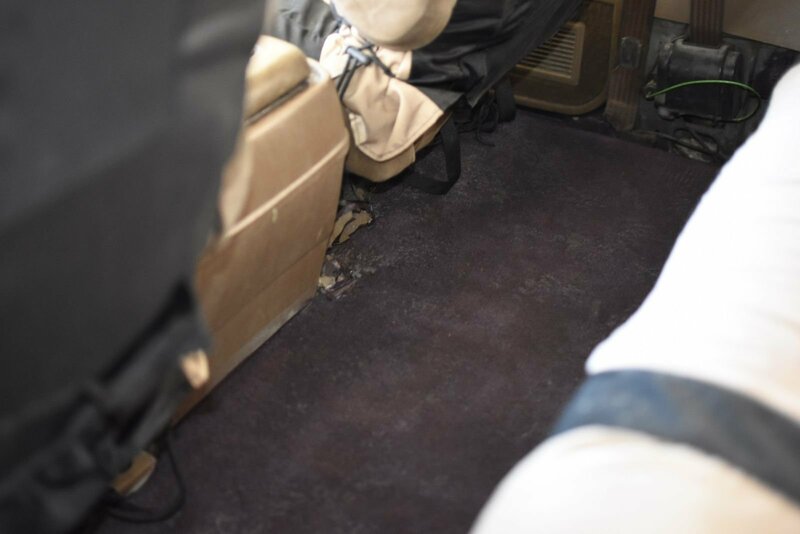 You can say this is more costly than replacement carpet and you'd be right! The difference is I didn't have to remove anything and don't even need to mask anything off so overall not a hard job AND I get color options with a water proof floor (100% once I fully seal in the sides where the carpet ends which any replacement carpet/rubber wouldn't cover anyways). I also did not have to shape brand new rubber mats and/or carpets which is required with any new material plus the tear down/re-install. The only spot that will ever peel is the non carpeted area just below the pedals. Who cares!